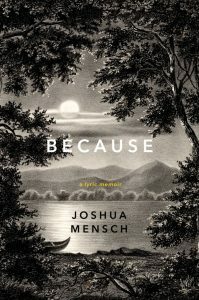 At once a personal account of actual events and a lyric journey through the formative years of a young boy, Joshua Mensch’s lyric memoir, Because, unfolds a tale about the impact of childhood sexual and psychological abuse. In this unflinching testimony, Mensch uses poetry to draw the reader in, and poses the question, “Why?”—to which because, as unsatisfying as it is, is the only available answer. Because introduces Don, a friend of the author’s parents, who invites a young Mensch to the summer camp he runs with his wife. For years, Don teaches Mensch lessons in poetry and philosophy, survival and wilderness training—while simultaneously grooming him and other boys. Mensch spends much of the latter portion of the book struggling with how his interactions with Don may have differed from those of the numerous others Don abused. Don attaches himself to Mensch as both teacher and abuser, a devastating combination that leaves Mensch to distill his experience long after the events transpired. About Plato, Mensch poses the questions, “1. was he a real poet / or merely a performer / of someone else’s words? / 2. what wisdom does / poetry express that plainspoken / knowledge cannot / through logic deduce?” These questions point directly to the heart of Mensch’s purpose for telling this story: because these things did happen to him, because the words are his own words as a “real poet,” and because poetry possesses the inexplicable blend of music and movement necessary to tell his story. 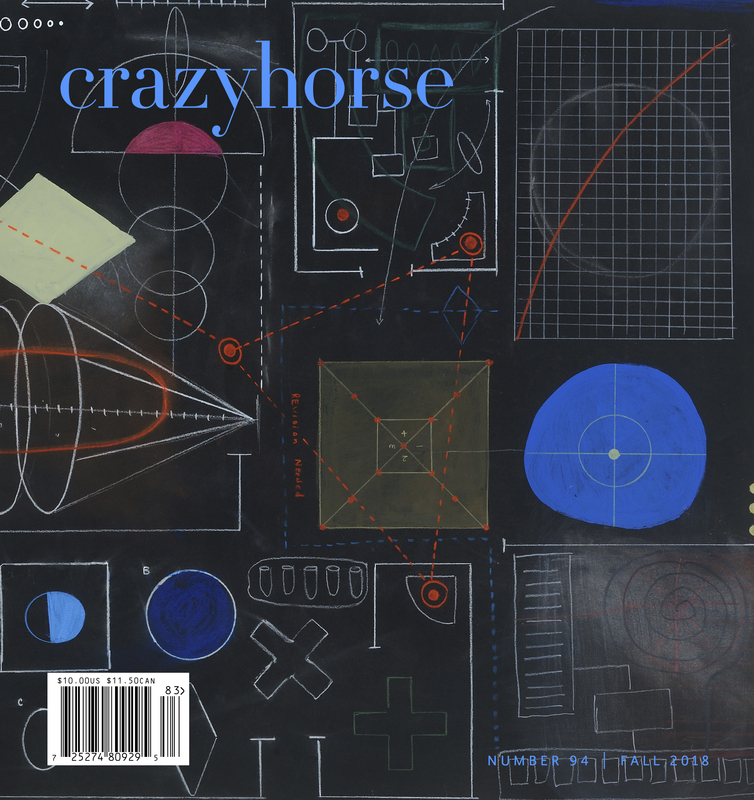 Though Mensch at first gives just a piece of the puzzle, the lyric circles back as it spirals out, eventually revealing the entire framework of art: a mosaic of interconnected scenes that come together to form the shattered memories of a broken childhood torn away too soon. Mensch grows up over the course of the unwinding narrative, gaining insight with each turn of the wheel. Through its litany of “because,” the story gradually reshapes and reforms itself. The rooms where the abuse occurs become amorphous, one bleeding into the next, images sweeping in and supplanting those that came before them. In this way the book becomes a physical manifestation of how memory operates, often coming to us in pieces. Mensch’s story takes him from the Mexican seaside to the forests of Nova Scotia, from New Mexico to Philadelphia, landscapes all over the world connected by a fragile string of because. At first, the word makes perfect sense. Because is supposed to explain why. But the relentless repetition drains the word of meaning until it begins to feel like a word merely used to begin a sentence. By the time a reader reaches the middle of the book they have no sense of the question being answered. Why what? Because what? Each section of Because ends in a semi-colon, indicating that these thoughts are not yet finished, that there will always be more to unpack. The semi-colon forms a soft barrier between each successive scene, and the reader can then pass fluidly from one moment to the next. This effect is further amplified when the book itself terminates in a semi-colon, in a sense rendering the story unfinished. The final semi-colon implies the ongoing process of recovery, the way we constantly construct and reconstruct our personal narratives. Joshua Mensch places the final semi-colon at the end of Because, acknowledging that trauma narratives often cannot be end-stopped, that his story may never be finished evolving.